Abstract – A microgrid is an electrical distribution network consisted of distributed generators, local loads, and energy storage systems that can operate in grid-connected or islanded modes. Different technologies are combined together, such us power converters, control, communications, optimization, and so on. This way the energy can be generated and stored near to the consumption points, improving the stability and reducing the losses produced by the large power lines. In distributed energy systems like microgrids, multi-agent systems technologies will be presented distributed control is a powerful tool for distributed. In this talk examples of research and projects in real sites including conventional islanded systems installed in islands and rural remote areas, low-voltage distribution systems and DC microgrids for residential applications and homes electrical vehicle charging stations, ships, vessels, and ferries, and seaports will be shown. Biography – Josep M. Guerrero (S’01-M’04-SM’08-FM’15) received the B.S. degree in telecommunications engineering, the M.S. degree in electronics engineering, and the Ph.D. degree in power electronics from the Technical University of Catalonia, Barcelona, in 1997, 2000 and 2003, respectively. 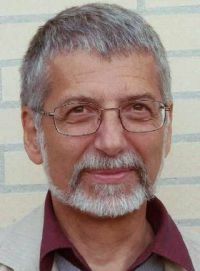 Since 2011, he has been a Full Professor with the Department of Energy Technology, Aalborg University, Denmark, where he is responsible for the Microgrid Research Program (www.microgrids.et.aau.dk). From 2012 he is a guest Professor at the Chinese Academy of Science and the Nanjing University of Aeronautics and Astronautics; from 2014 he is chair Professor in Shandong University; from 2015 he is a distinguished guest Professor in Hunan University; and from 2016 he is a visiting professor fellow at Aston University, UK, and a guest Professor at the Nanjing University of Posts and Telecommunications. Abstract – The smart grid is a new energy paradigm that integrates electricity and information and communication infrastructures to produce electricity more efficiently and reliably, as well as cleanly and safely for the environment is characterized by a bidirectional flow of electricity and information and has been called “electricity with a brain”, the “energy Internet” and the “Electronet”. Smart grid brings a lot of advantages and opportunities such as possible integration of massive renewable energy resources and energy storage into the grid while ensuring better efficiency and reliability with lower cost. On other side the smart grid is associated with many technical and nontechnical challenges. The talk will focus on the vision of transforming to and creating a new energy paradigm that is based on the smart grid principle. Enabling technologies, challenges, current status, and the future prospectives will be discussed. 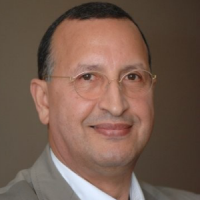 Biography – Haitham Abu-Rub (IEEE Fellow) is a full professor holding two PhDs from Gdansk University of Technology (1995) and from Gdansk University (2004). Dr. Abu Rub has long teaching and research experiences at many universities in many countries including Poland, Palestine, USA, UK, Germany and Qatar. 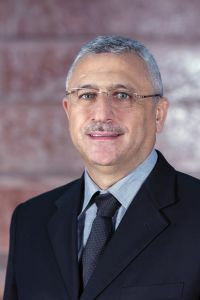 Since 2006, Dr. Abu-Rub has been associated with Texas A&M University at Qatar, where he is currently the chair of Electrical and Computer Engineering program and the Managing director of the Smart Grid Center – Extension in Qatar. His main research interests are energy conversion systems, smart grid, renewable energy systems, electric drives, and power electronic converters. Dr. Abu-Rub is the recipient of many prestigious international awards and recognitions, such as the American Fulbright Scholarship and the German Alexander von Humboldt Fellowship. He has co-authored more than 350 journal and conference papers, five books, and five book chapters. Abstract –Our aging grid infrastructure faces increasing challenges from multiple sources including greater demand variability, stricter environmental regulations and growing cyber security concerns. Advanced smart grid technologies provide possible solutions to tackle these challenges. Meanwhile how to best utilize these new devices and technologies such as PMUs and electric vehicles remains a challenge by itself. In this talk, I will address various topics which span a multitude of areas including demand response, stochastic optimization for renewable integration, microgrids and cyber security. I will present the technical issues in implementing these technologies and corresponding potential solutions. 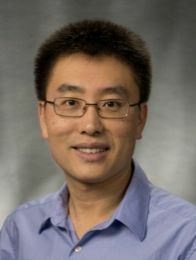 Biography – Dr. Jianhui Wang is the Section Manager for Advanced Power Grid Modeling at Argonne National Laboratory. He is the Secretary of the IEEE Power & Energy Society (PES) Power System Operations Committee. He has authored/co-authored more than 150 journal and conference publications. He is an editor of Journal of Energy Engineering and Applied Energy. He received the IEEE Chicago Section 2012 Outstanding Young Engineer Award and is an Affiliate Professor at Auburn University and an Adjunct Professor at University of Notre Dame. He has also held visiting positions in Europe, Australia and Hong Kong including a VELUX Visiting Professorship at the Technical University of Denmark (DTU). Dr. Wang is the Editor-in-Chief of the IEEE Transactions on Smart Grid and an IEEE PES Distinguished Lecturer. He is the recipient of the IEEE PES Power System Operation Committee Prize Paper Award in 2015. Biography – Stanimir VALTCHEV was born in Bulgaria 1951, received M.Sc. from TU Sofia, awarded as the best of the year 1974, received PhD from IST in Lisbon. He worked on semiconductor technology, medical equipment, and then as a researcher in industrial electronics (laser supplies and high-frequency power converters). In the 1980s worked in the Robotics Laboratory of TU Sofia (also being Assistant Director of the Centre of Robotics). During 1987 and in 1991-1992 he worked in the Laboratory for Power Electronics of TU Delft in the Netherlands, as Assistant Professor. Since 1988 was Assistant Professor in TU Sofia and taught several courses on Power Supply Equipment and Power Transistor Converters to graduate and post-graduate students. He was the Deputy Dean of TU Sofia, responsible for the international students in 1990-1994. After 1980 he worked on high-frequency resonant power converters and published in numerous conferences and journals (IEEE Meritorious Paper Award, 1997). In 1994 being invited to Portugal to lead a project of a new soft-transition power converter, stayed and taught various subjects in different universities and has consulted various institutions in Portugal and in the Netherlands. He is currently Auxiliary Professor in UNL and Invited full professor in BFU, Bulgaria. His research includes power converters (also resonant and multilevel), energy harvesting, wireless energy transfer, electric vehicles, energy management and storage, bio energy-harvesting, and biosensors. Abstract – The presentation will start from the consideration of the demands for traction drives and include an overview of various types of motors used in traction applications. The pros and cons for each type of motor will be considered. The approaches for encoderless control for induction machine, synchronous permanent magnet machine and switched reluctance machine will be considered together with accuracy of the methods and limitations. Next, a synchronous homopolar motor will be introduced: its design, equations and examples of its applications. Self-sensing position estimation strategies for the synchronous homopolar motor will be considered. The examples of the powertrains of pure electric city bus and 90-ton mining truck with the synchronous homopolar motor will be presented. 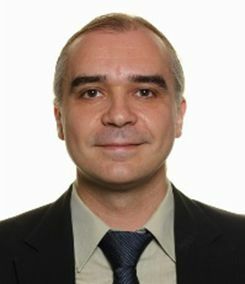 Biography – Alecksey Anuchin received the BSc, MSc and PhD degree from Moscow Power Engineering Institute has more than 20 years of experience covering control systems of electric drives, hybrid powertrains and real-time communications. He is author of two textbooks on design of real-time software for microcontroller of C28 family and control systems of electric drives (in Russian). He published more than 100 conference and journal papers. 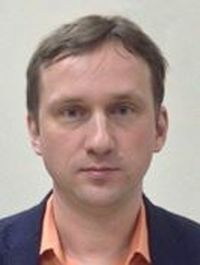 He delivers lectures on “Control Systems of Electric Drives”, “Real-time Software Design” and “Science Research Writing” in Moscow Power Engineering Institute. He is in a position of head of Electric Drives Department for last 7 years. Dr. Anuchin works in R&D Company “Vector” for 21 years from the position of a programmer, when he was 3rd year BSc student, to CEO. He has many successful projects and designed control systems for switched-reluctance drives, for inverter-fed nickel alloy electric furnace, for power supplies of trains and subway trains, for high-speed spindle drives, and supervised the projects of serial hybrid vehicles, fully electric bus and shuttle bus.